It’s easy to dismiss college students as spendthrifts who don’t value money, but financial responsibility is a learned behavior. For college students, the best credit cards should provide convenience and reward, but it’s important that students understand just what they’re signing up for. Kids aren’t born knowing how to establish a solid credit rating, you have to teach your teen financial responsibility. This will help when getting an apartment, a loan and even a job, as many employers check credit records before making a hiring decision. That brings us back to the image of the spendthrift — if you like to hit all the deals on Amazon.com, Inc. (NASDAQ:AMZN), then it can get you into trouble quickly. Holding a credit balance on a card can be expensive, as the interest rates can be in excess of 20%. In other words, you need to use a credit card with lots of discipline. If discipline is a foregone conclusion in your 20s, then there’s probably an app for that. Citigroup Inc’s (NYSE:C) Citi ThankYou Preferred Card for College Students has some pretty good rewards for students who haven’t built up a whole heap of credit yet. For starters, you earn 2,500 bonus points when you sign up, so long as you spend $500 within the first three months. After this, you get 2 points for every dollar spent on dining and entertainment, including your Netflix, Inc. (NASDAQ:NFLX) subscription. All other purchases will net 1 point. And yes, none of these points expire. 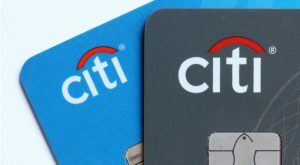 In terms of redemptions, the Citi ThankYou Card provides an extensive selection, such as for gift cards, travel, electronics, books and home goods. You can also use the rewards for purchases on Amazon.com or to pay down those dreaded student loans. Then there is the Citi Private Pass. This is an entertainment access program that allows special privileges for purchases on concerts, sporting events and so on. There’s even the occasional complimentary movie screening. That’s all good and well, but no card is without their drawbacks. 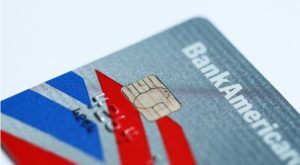 The Citi ThankYou card charges a 3% foreign transaction fee, which could make gallivanting around Europe for the summer an even more expensive proposition than you thought. 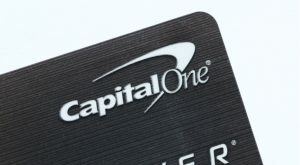 As the name implies, Capital One Financial Corp.’s (NYSE:COF) Journey Student Rewards Card is for adventure-hungry students. The reason is simple enough — no foreign transaction fees! In a world where the typical fee is 3%, zero fees aren’t something bandied about lightly. This is fairly rare for student credit cards. The lack of foreign fees isn’t the only perk: The card provides a 1% cash back feature on all purchases, which includes a 0.25% bonus if payments are made on time. If you keep this up for five months, you will get an increase in your credit line. To help things along, Capital One will send texts to make sure you do not fall behind. Oh, and you don’t even have to be a student to apply, so there’s that. That’s not to say there aren’t any downsides. First of all, the cash-back rewards expire if you are delinquent on payments or you close the account. What’s more, the annual percentage rate (APR) can be as high as 24.99%, so interest payments can pile up with just a few late payments. Also, the maximum 1.25% rewards rate isn’t as high as some other student credit cards. 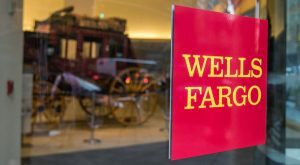 Wells Fargo & Co (NYSE:WFC) was the target of controversy after thousands of WFC employees ginned up fraudulent banks accounts to achieve lofty sales goals. It wasn’t a good look for the company, and CEO John Stumpf was subsequently outed. WFC has since taken actions to reform the company, and it still offers some of the more attractive credit cards in the biz — the Wells Fargo Cash Back College Card. It provides for 3% cash rewards on groceries, gas and drugstore purchases during the first six months, an annual fee of $0 and 0% APR for the first six months — and then goes to anywhere from 12.15% to 22.15% (this is based on your credit score). 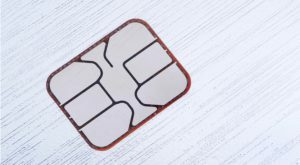 Something else: WFC provides coverage for damage or theft of your cell phone, so long as you make your monthly payments with the card. Fees, fees, fees. Wells Fargo charges a balance transfer fee of 3% or $5 (whichever is higher) during its six-month grace period, and 5% after that. There’s also a 3% foreign transaction fee and a lowly 1% cash back on purchases after the 3% introductory period is over. Discover Financial Services’ (NYSE:DFS) Discover it Chrome for Students offering could be one of the best credit cards for students. Not only does DFS offer 5% cash back, it provides $20 cash back for each school year exited with a GPA of 3.0 or higher. This lasts for five years. But of course, there are other benefits. In terms of the cash back program, you can earn 2% for dining and gas purchases, for a maximum of $1,000 per quarter. Anything else gets 1% (there is no limit). Redemptions can be done through your statement, bank account, check or Amazon gift card. The fee structure is also attractive … because there are no annual fees or foreign transaction fees. The APR is also 0% for six months. If you want to make a balance transfer, however, there will be a 3% fee. And you’ll only earn that 5% cash-back bonus is you remember to activate it every quarter. Also important to keep in mind: Discover isn’t as widely accepted as other credit card providers, which is doubly so when traveling overseas. For banks, the college market may not necessarily be lucrative (the credit limits tend to be lower), but the market is still a good opportunity. When a bank gets a young client, he or she could ultimately result in much more earning potential in the years to come. No doubt, this can be a benefit for a college student looking for a credit card. And an example is Bank of America Corp’s (NYSE:BAC) Cash Rewards Credit Card for Students offering. For example, you can earn a 10% cash-rewards bonus when you make redemptions using the firm’s savings or checking account. But there are other goodies. The cash-back bonus is 3% on gas and 2% on groceries (this includes wholesale clubs), for a maximum of $2,500 per quarter. For anything else, you will get 1%. Oh, for the first 90 days of obtaining the card, you can earn $150 if you spend $500 or more. The card also provides a useful app, which includes your FICO score. But beware: Missing a payment incurs a $38 late fee with a maximum penalty APR of 29.99%. There’s no annual fee, but like many college cards, BofA’s also charges a foreign transaction fee of 3%. Tom Taulli runs the InvestorPlace blog IPO Playbook and operates PathwayTax.com, which provides year-round tax services. Follow him on Twitter at @ttaulli. As of this writing, he did not hold a position in any of the aforementioned securities. 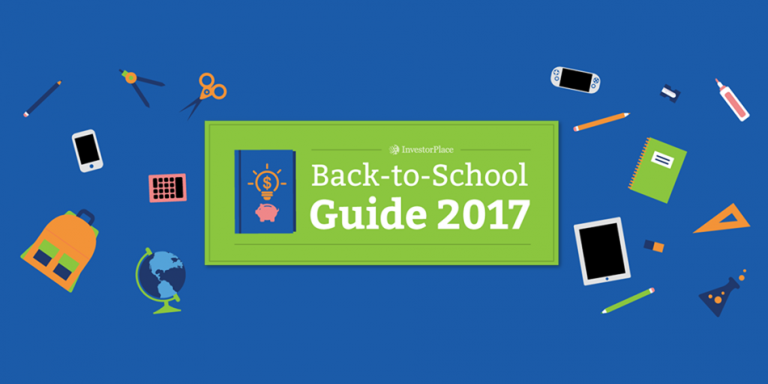 Article printed from InvestorPlace Media, https://investorplace.com/2017/08/5-credit-cards-that-make-college-life-easier/.